The essence of the Dreyer & Reinbold Difference is exceptional service. We offer our clients a number of different ways to finance a new or used INFINITI vehicle with tons of great INFINITI specials. 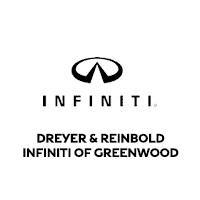 Presenting numerous options and walking you through all the ins and outs to find the best INFINITI finance package for you is our expertise at Dreyer & Reinbold. In general, our financing packages fall into three broad categories: leasing, traditional financing and balloon financing. Leasing an INFINITI can be a good way to have a more affordable payment than when buying an INFINITI. Your lease payment covers only the vehicle depreciated value (plus the lessor’s monthly finance charges), not the entire purchase value. Most vehicles are leased for 24 to 48 months. We don’t recommend leasing a vehicle for longer than its general warranty. For people who drive an average number of miles and take good care of their vehicles, leasing is a good financing alternative. Traditional financing is an installment transaction over a period of time. You agree to pay the amount financed, plus an agreed-upon finance charge. Traditional financing is probably right for you if you like the idea of owning a vehicle or you plan to keep the car for more than a few years. Dreyer & Reinbold works with many different lenders to offer you competitive rates. A big part of our service is staying on top of the finance market, knowing which lenders have the best offers at any given time. This financing option combines the benefits of leasing and owning. You pay only the anticipated depreciation of the vehicle, plus any finance charges and taxes. A couple of different options are available, depending on the mileage you expect to drive. Your Dreyer & Reinbold business manager will help you arrange financing for a 24-, 36- or 48-month term. At the end of the term, you can either make a final balloon payment to buy the car outright or turn in the vehicle to the dealership.